The app for incident management by instant messenger (Sefici), the tool for creating no programming applications (480interactive) or the new video games department and comprehensive experiences in virtual and augmented reality (Brand Games Studio) by Cuatroochenta will visit, from November 7 to 18, the core of world technology innovation in order to absorb its entrepreneurship ecosystem: we have been selected by the Spain Tech Center (STC) to take part in its Immersion Program at Silicon Valley. The objective being to present our projects to investors, meet experts in different cutting-edge industries and share experiences with other successful entrepreneurs in the USA in order to establish alliances, which may strongly help ourcurrent internationalisation strategy. Cuatroochenta has been selected together with other 11 companies out of the country by the STC, a public-private entity sponsored by the ICEX (Spanish Institute for Foreign Trade), attached to the Spanish Ministry of Economy and Competitiveness, in which Red.es and the Bank of Santander also take part to introduce Spanish tech companies in the USA market since 2011. Their offices are located at the heart of San Francisco, in the renowned co-working space known as RocketSpace, in which projects such as Spotify and Uber were born. In this fifth edition of the Immersion Program, more than 70 companies have participated and the company from Castellon is the only selected out of the Valencia region, as most of them are located in Madrid and Barcelona: beBee, Blueliv, ec2ce, Electronic IDentification, Estudiofuture, Libnova, MyVitale, Nautic Advisor, Net IP, SpiralAI and Wide Eyes Technologies. Lucia Garcia Vidal, one of the business development leaders, will be the Cuatroochenta representative to participate in the programme. The Spain Tech Immersion Program in Silicon Valley comprises a previous training in Madrid in order to prepare the companies representatives for meetings with potential investors, partners and clients. During the trip to the city in California, there are also visits to benchmark companies at world level on the schedule. Cuatroochenta has been selected to participate in the immersion program fostered by ICEX right in the middle of the internationalisation process. The mobile apps developer settled in Panama in 2013 by an alliance with the Tagaropulos Group (leading food distribution and sales sector) and this last summer, delegations were opened to expand business in Bogota, Utrecht and Buenos Airesand soon in Milan. This November it will be the 5th year of career, featuring our open-mindedness with regards to markets and clients profiles with a strong involvement in the nearest environment, in which the company has been awarded a number of times. The real collaboration and involvementphilosophy has been implemented through the apps development for different big multi-national companies such as Nestle, Faes Farma, Northgate, Amadeus, EDP, BCD Travel, Bodegas Torres, Puleva, Porcelanosa, Adidas, Supermercados Rey or Assa Seguros. Sometimes, in cooperation with the most renowned advertising agencies: Havas, BBDO, Aftershare or Ros. A bet on internationalisation accompanied by the entry of World Wide Networks as a partner in the first investment round, which has gradually allowed to consolidate an interdisciplinary team with more than 50 employees. This operation involved the buyout of the web developer Perfect Wide, as well as the creation of the start-ups promoting Blast Off Partners and the Espacio Base co-working space. These last two projects are aligned with the Cuatroochenta bet on the R&D knowledge transfer from university to the business sector in order to contribute to entrepreneurship and talent promotion within the innovation ecosystem emerging in its environment. 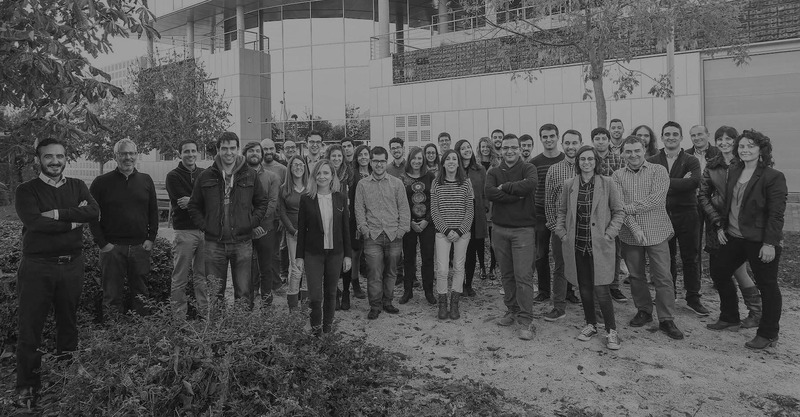 Therefore, the company collaborates in a pioneering education project with the Computing and Design Engineering and Video games development qualifications at the Jaume I University in Castellon. Under this same principle, it promotes the first meeting for programmers Hackathon Castellón in November, together with another two tech companies of the area, IoTsens and Nayar Systems. Moreover, their funding partners, Alfredo R. Cebrian (CEO) and Sergio Aguado (CTO) are usual speakers in benchmark forums on creativity and innovation, such as Zincshower or Vodafone Fast Forward Sessions. As a result of this collaboration with the Video games qualification from the Jaume I University, Cuatroochenta created the new department of Brand Games Studio at the beginning of 2016. It explores possibilities for video games and immersion experiences in virtual reality and augmented reality of being applied to brands and services for a better connection with their audiences. Two important companies such as the energy group EDP and the Eroski cooperative have already successfully employed this technology in trade shows and product presentations. The company from Castellon will take their two own products to San Francisco as their main asset. On the one hand, 480interactive, a tool with which more than 20,000 users and partners have already published 40,000 no programming apps at world level, especially in Latin America, since the launch in 2013. And Sefici, an app for incidents management which is being positively implemented in the industrial, hospitality or real estate sectors and which has already attracted the attention from investors. In the future, Cuatroochenta intends to keep growing by adapting this strategy to the different countries in which delegations are to be opened: from the apps development and ad hoc solutions up to the implementation of their own projects, including establishing alliances with local companies and training initiatives. The final objective always being to put new technologies at people service, creating practical and efficient apps making life easier.